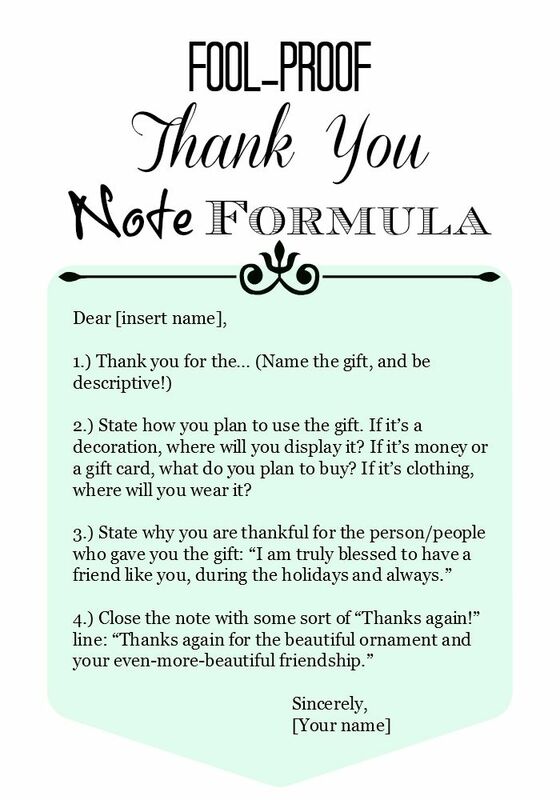 Thank you notes are slowly becoming extinct and it is a very important and Honorable detail that should never be forgotten . When you receive a gift for a birthday or wedding, it is always respectful to send a handwritten thank you note – this shows the friend/guest that you are appreciative of their time and generosity they gave to you and your event. 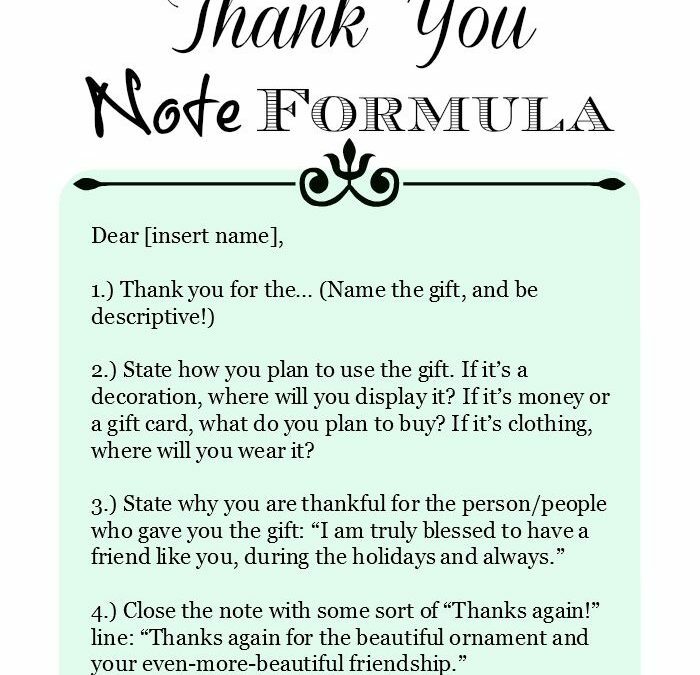 Below is a link from Pinterest (http://www.pinterest.com/pin/414753446904649431/) which shows you an easy way to write your thank you notes. Don’t wait too long to write them after your event either – usually a couple of week after the event (or after your honeymoon) is appropriate.